The real estate frenzies in West Coast cities have become the stuff of lore: buyers jostling at open houses, homes getting offers sight unseen, bids coming in hundreds of thousands of dollars over asking. © Photographer: Chona Kasinger/Bloomberg A townhouse for sale in the Queen Anne neighborhood of Seattle. Just ask Kelly Randall, an Amazon employee who listed her renovated Seattle condo for $539,000 -- a bargain compared with the $615,000 her friend got last year for a smaller place in the same building. Almost four months and four price cuts later, Randall’s still waiting for an offer. For the first time in years, the U.S. is entering its key spring house-hunting season with buyers holding the upper hand. Nowhere is the shift more pronounced than in once-hot areas such as Seattle, San Francisco and Denver, where bidding wars are vanishing, time-on-market is climbing and prices are flattening, or even falling. 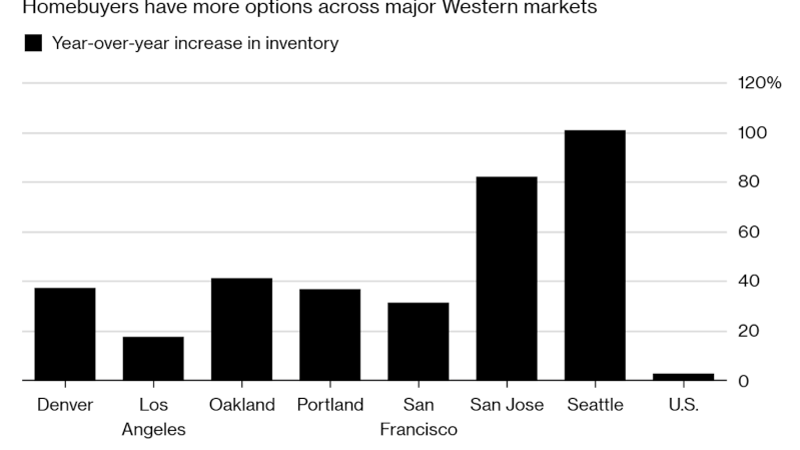 These western cities, the center of the recent housing boom, are now leading the slowdown. The reasons are varied, from last year’s spike in mortgage rates to volatility in technology stocks. But the simplest explanation is that years of soaring values have put housing in many areas out of reach to all but the most affluent buyers. In many parts of the West, home prices have more than doubled from the recession while incomes have climbed far less. With prices slipping and more inventory coming up for the busiest time for home selling, buyers who have the means will have a new opportunity to enter the market. Sellers, meanwhile, face a “reality check,” Yun said. “This is what it looks like when the pendulum starts to go the other way,” said Felipe Chacon, a housing economist at Trulia. Seattle is a prime example of the reversal. The area’s median single-family home price doubled since 2012 to $560,000, fueled by an Amazon-led tech boom that brought in a flood of highly paid workers. Houses regularly sold within a week, sometimes garnering 10 or more offers, with buyers waiving home inspections and financing contingencies. Now, the tables are turning. The median single-family home prices in King County, which includes Seattle, fell 3 percent on a price-per-square foot basis in January, the first annual decline since 2012, according to brokerage Redfin. Roughly a sixth of the metro area’s listings had price cuts in the 12 months through January, twice the previous year’s rate, Trulia data show. It may just be a brief respite after years of mania. Seattle’s economy and hiring remain strong, and housing is still tight compared with other parts of the country. Home sales have started to pick up from a tepid fall and winter, real estate agents say. But there’s no question the house hunt has become easier for people such as Hector Perez, who moved to Seattle last year for an Amazon job and had heard horror stories about the crazy market. 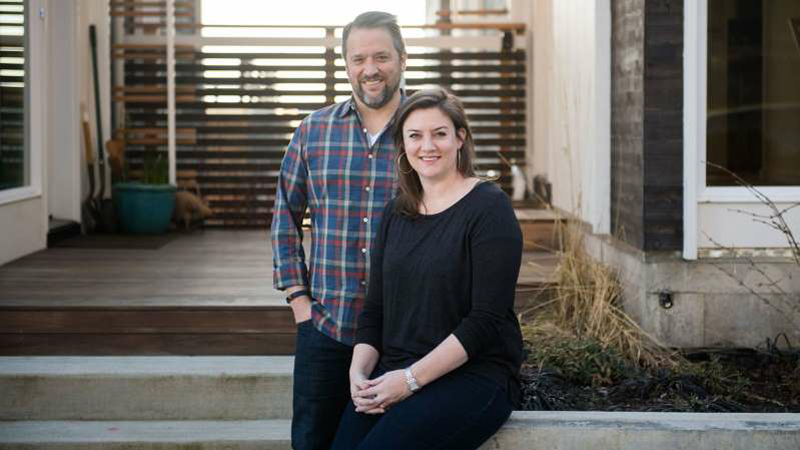 The Texas transplant and his wife, Kate, were pleasantly surprised when they zeroed in on a new home in the Queen Anne neighborhood that had been on the market for more than half a year. © Photographer: Chona Kasinger/Bloomberg Hector Perez and his wife Kate Stoker in the Queen Anne neighborhood of Seattle, on March 10. 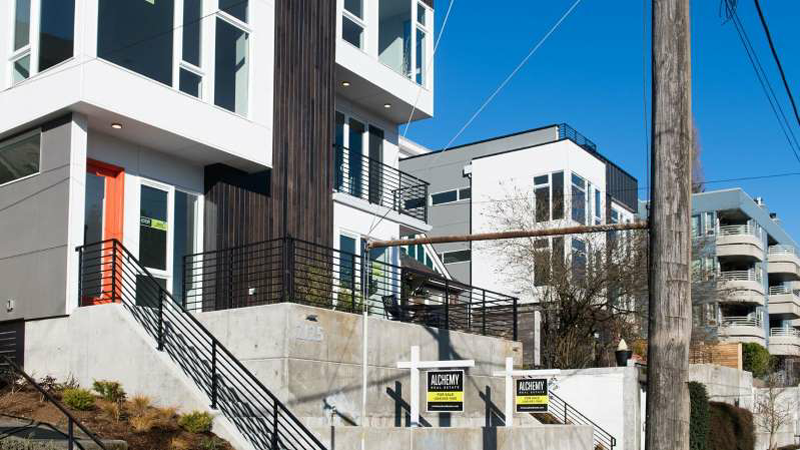 Already, about $160,000 had been knocked off of the initial list price of almost $1.4 million. When the seller asked if they could do an inspection in five days, the couple said they were traveling and threatened to walk if they couldn’t get 10. The invisible hand of Amazon may once again be playing a role in the market. There are concerns that the company, which occupies about a fifth of Seattle’s prime office space, may be slowing its growth in the city. Last month, the tech giant said it doesn’t plan to move into the space it leased in a new 37-story tower being built downtown. Amazon, which still has thousands of positions open in the city, declined to comment. The broad cooling indicates that there are greater forces at play than a single company or industry. Home sales in January were at 11-year lows in both Southern California and the San Francisco Bay area, CoreLogic Inc. reported. Prices in both the Portland, Oregon, and Denver areas fell this year for the first time since 2012, according to local multiple listings services. In the Bay Area, San Francisco’s market may get a boost as the pending initial public offerings of Lyft Inc., Uber Technologies Inc. and Pinterest Inc. mint millionaires, according to Patrick Carlisle, chief market analyst in the region for the brokerage Compass. But in Silicon Valley, there’s been a dramatic slowdown, he said. Santa Clara County -- home of Google and Apple Inc. -- saw its median house price fall 1 percent in the fourth quarter to $1.25 million, after a 27 percent surge a year earlier. Caution was apparent on a recent sunny Saturday morning in Northwest Seattle’s Whittier Heights neighborhood as Ruslan Polyak propped up an open house sign by the front door of a yellow townhouse. Recognizing the market’s slowdown, he had listed it last month for $810,000, even though an identical unit sold last spring for $835,000, almost $100,000 above asking, he said. Later that day, Polyak cut the price to $787,000. Randall, the Amazon employee, is waiting for her condo to sell so she can buy a new town home she signed a contract to purchase in November. In a sign of the market’s softness, the builder is working with her, reducing the agreed-upon price as she’s had to lower her own asking price. It’s now $480,000, a $59,000 reduction from the original listing.